By far the biggest change in this update is the new stats and insights which is found on your profile page within the app. Now you will see a map header with push pins to show where you have checked in (you can tap on it to expand it to a full map), your number of checks, photos and your friend count. Below that you will see the Top Categories of locations you have checked into over the course of the past 60 days, your Top Friend and your Top Places. 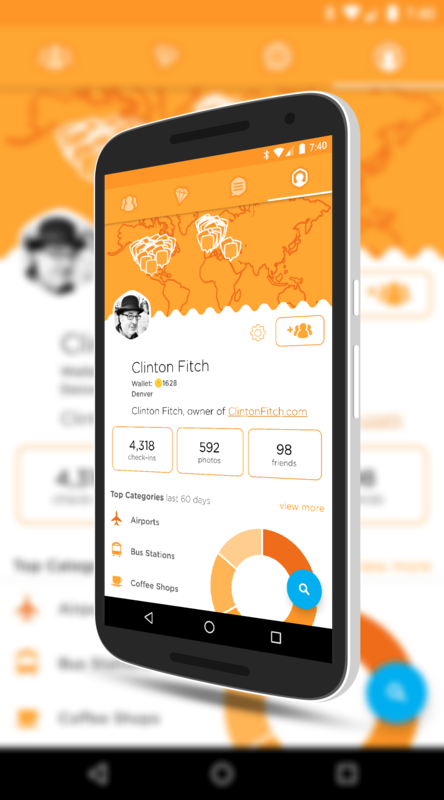 You can tap on any of these stats and get not just the last 60 days but your all-time count on Swarm. The other big change in this update to Swarm is around check-ins themselves. Anyone who has used the app or similar apps have remembered later that they forgot to check into a location. No more with Swarm. Now the app will present you a list each week of places you have visited but may have forgotten to check into at the time. When you get the list, you can simply tap to check-in on those and get 1 coin. It’s not as many as you would get normally on most check-ins but hey, it is better than nothing at all and a nice change to the app for sure. Finally, there have also been some changes to photos around size and privacy which will give you a bit more control over how photos you share in the app are shared with others. Overall the changes are great improvements for the Swarm app and welcome to see. If you haven’t tried out Swarm, give it a go, especially if you like social check-in apps with a bit of a game-like twist.